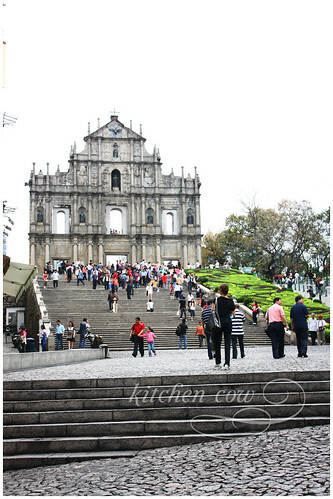 The morning of our second day in Macau found us walking on the famed cobblestones of Macau’s Senado Square. 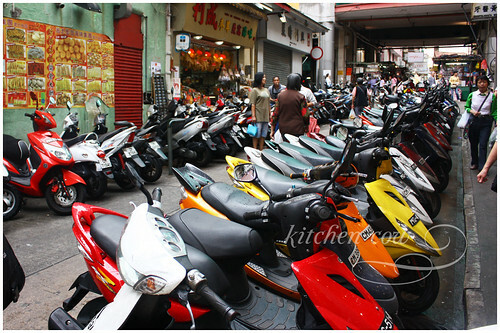 A commercial center in the city’s old district, it blended the old, the new, and the distinctly Macanese. The walk to Senado Square was already an adventure—passing through narrow streets flanked by towering buildings while averting the oncoming scooters and motorbikes demanded much attention. Exploring the square was another adventure in itself. Here, old, restored Portuguese-themed buildings stood tall and proud—a statement to the territory’s rich heritage, and only the the signs that these stores were a Mc Donald’s or a Starbucks brought you back to the present time. Our walk through this UNESCO heritage site was capped off by a visit to the historic Ruins of St. Paul. A tough task considering the height of the stairs you had to climb, all the while dodging busloads of tourists from Mainland China. So, can you imagine how famished we were when lunchtime came? Our second meal in Macau (not counting breakfast at the hotel) presented a sharp contrast to our laid-back street stall meal the night before. Nestled at the 3rd level of Crown Towers in the City of Dreams, Horizons, a grill, steak and seafood restaurant, was a picture of smart luxury. 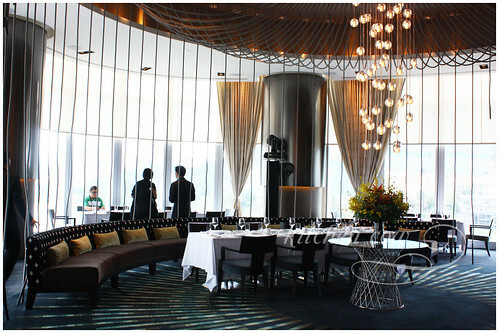 Overlooking the Cotai skyline, the restaurant was divided into lounge type seats — chic couches and low tables for enjoying hors d’ oeuvres and cocktails and the standard tables. 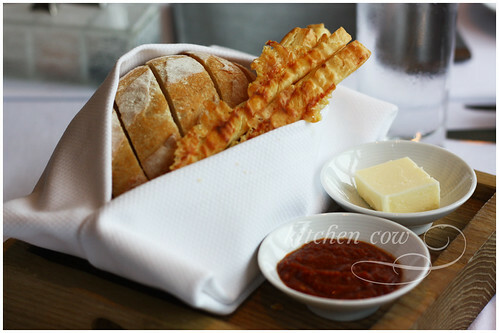 The arrival of the bread basket signaled the start of our meal. Gone was the standard basket of bread. Instead, we had a sliced loaf and sticks of cheese encrusted bread wrapped in a white napkin. It reminded me of a baby in swaddling cloth. It seems as if Macau has a love affair with bread — all the bread we had during our vacation there was marvelous, Horizon’s was no exception. It took willpower to resist nibbling on the lovely bread. A mean feat, especially when you’re hungry from the morning’s activities but the last thing I wanted was to feel full even before the main course. 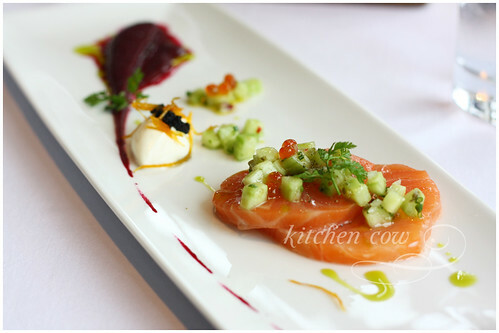 For starters, we had champagne-glazed cold smoked salmon. Much ooohing and aaahing could be heard as the dishes were brought out. The prettily plated salmon tantalized with its bright contrasting colors. Fortunately, the actual dish lived up to its pretty appearance. This entry was posted in food trips, restos & eateries and tagged bacalhau, Beach, casino, city of dreams, crowne tower, horizons, hotel, macanese, macau, miramar, portugal, portuguese, portuguese cuisine, portuguese food, rissois de camarao, salmon, sonhos de bacalhau, steak. Bookmark the permalink. I miss the food, especially that bacalhau! wow, one of my favorite cities! 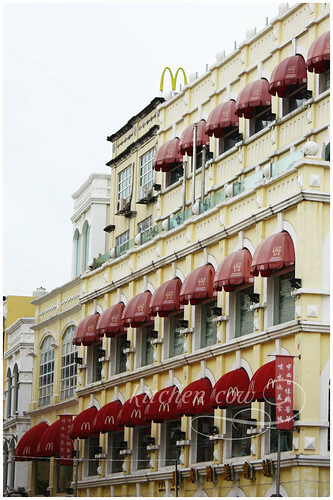 too bad i wasn’t able to eat local food there… well, just the (heavenly) egg tarts! nom nom. Egg tarts! Must agree, want moar egg tarts! They’re coming up in a new post. Just haven’t had the time to write. I tried Margaret’s. NOMS!